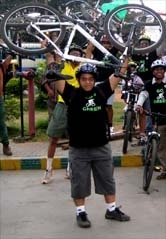 GoGreen Campaign Ride on 14Feb10 towards Cubbon Park. - GGI-Group size: 4000+ Professionals, Increasing on day to day basis, Come & join us 2 serve Mother Nature. 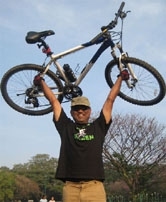 GoGreen Campaign Ride on 14Feb10 towards Cubbon Park. 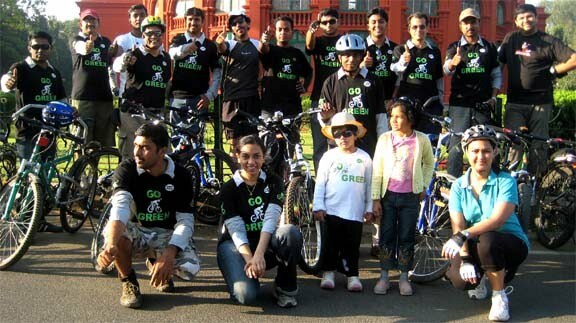 Totally 27 people participated in 14 Feb 2010 GoGreen Campaign Ride out of which their were 4 new GGI's, Started up @ 6:50am from Reliance Apple I store Jaynagar 5th Block & reached cubbon park by 7:15am. following is the route followed. 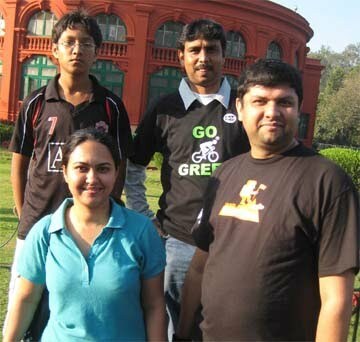 Third Row : Vinay, Ranjani, Pranalini, Divya, Dipika. 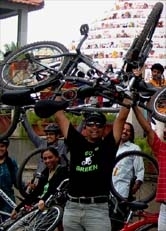 Few Snap shots from the 14Feb2010 GoGreen Campaign Ride.